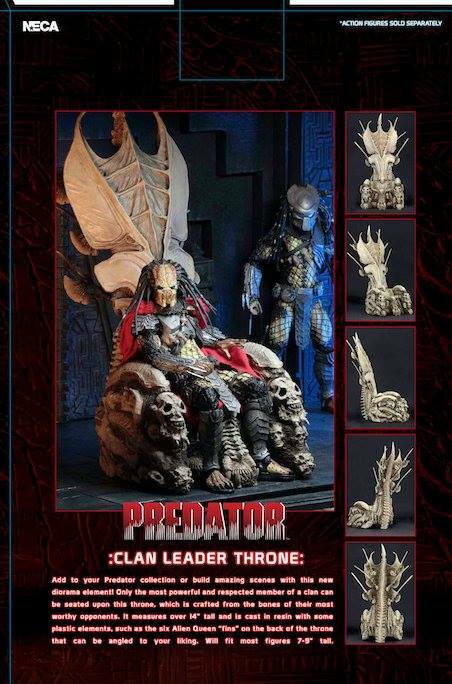 The Toyark › Aliens and Predator Toy News › NECA Predator Throne In-Stock at NECA Stores Now! 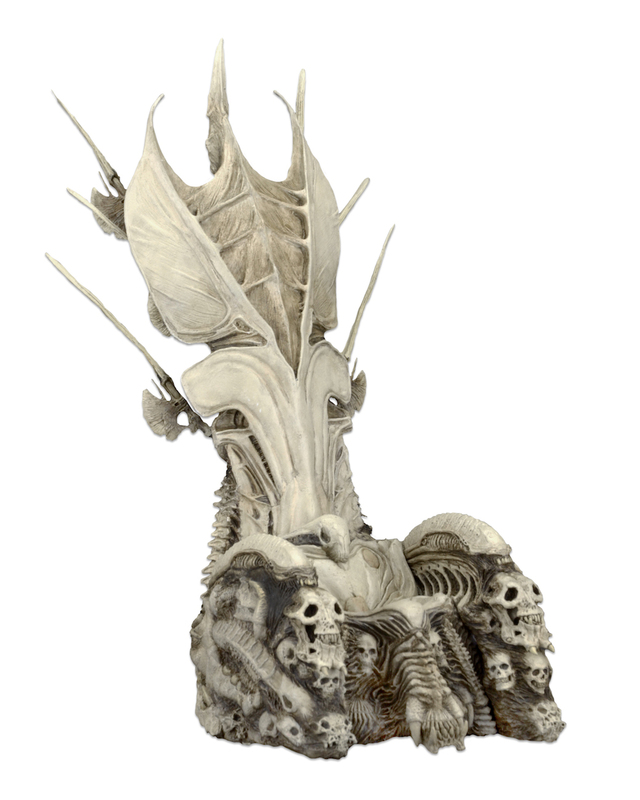 NECA Predator Throne In-Stock at NECA Stores Now! This is amazing. I will be all over this. I'm surprised that I am the only one commenting on this. "This" is my word of the day. 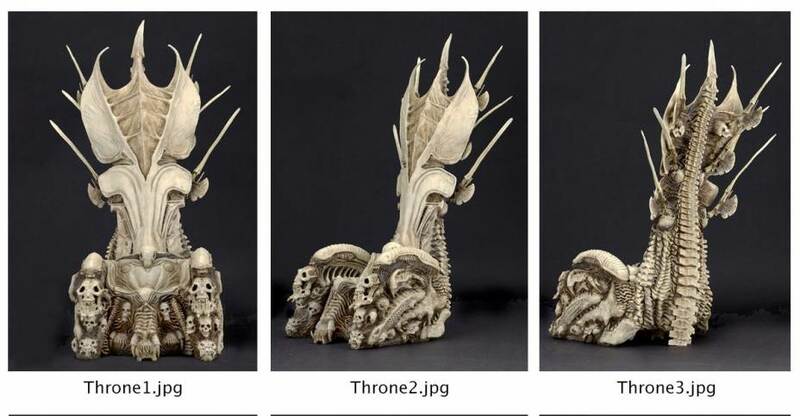 A bone throne...heh heh. It does look pretty wicked though. That is mind-blowingly awesome. There's so many little tiny things that can break, however...I have no idea how they're going to be able to package this well enough to survive a trip to retail. I'm all over that. Don't have any predators, but doesn't matter . I'm thinking Kratos could rock that hard. Im sure the women in the first game could attest to that. Bazinga! Looks very cool! I could see using it for other toy lines too. I wonder how Loki or Thanos would look on there? 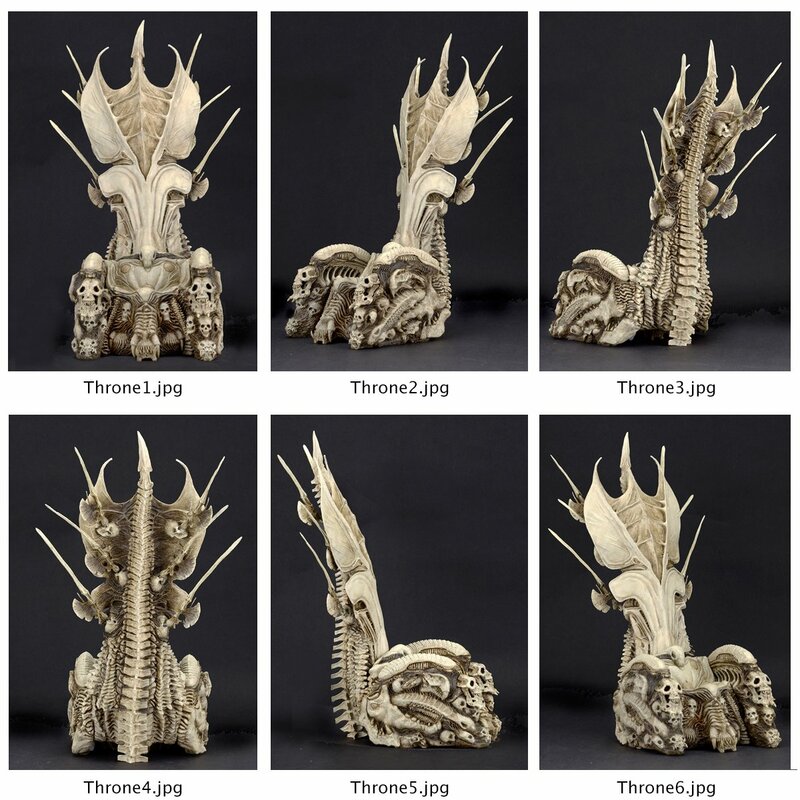 I'm thinking this would fit NECA Arthas too. Since he doesn't have the frozen throne. Instant buy. No questions asked (but please don't charge me more than, like, $40 for this because you know I'll pay it, goddamnit). I want it, but I'm fully expecting it to have problems because of how thin parts are, and it to be super expensive. This isn't foam, is it? It couldn't be with all of those thin pieces, right? Foam is usually relegated to the very large pieces. Don't see why this wouldn't be plastic. My hope is it's mostly hollow to keep cost down. Dol, as far as shipping goes, it looks like most of the spikes and such pop off, it'll probably come in a box disassembled like the pred vehicle, or the alien queen, just a guess, but that would be the easiest way to do it. On second thought...I like it, I just don't $80 like it. That's about $100 CAD so... no. Too much for my wallet also. Sadly. Damn! Why does it have to be 14"? My shelves are only 13" high. I may have to trim the top or something. I need this badly. Yes it's beautiful and it's more like an interactive statue but really NECA. Did you have to make it out of resin? Couldn't you have made this thing hollow and out of something cheaper. The quality and detail is there but $80 for my Predator to have a place to sit down. No thanks. With the impending Disney/ Fox deal, I just hope this gets released before any Aliens and Predator stuff starts hitting shelves with a Disney logo in the corner. I absolutely detest them and will not buy anything to support them, so the end may be near for my collecting my 2 favourite toy lines. A sad day, indeed. to quote mouth, "that's gnarly." Agreed. If the trophy wall had been a third of the price I�d imagine it would have sold a hell of a lot more than it did, and have ultimately been more profitable for NECA.